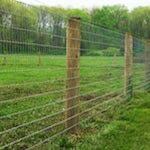 Deer, being the more graceful of animals, have the tendency to jump fences. 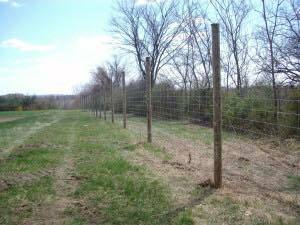 Whether you’re trying to keep them contained or away from your livestock or garden, you do not want to install the wrong deer fence. The best solution to this problem is height. 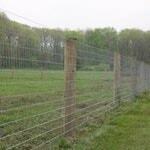 However Whitetail deer will scurry underneath the fence. Making the bottom and top of the fence the most important part to reinforce. 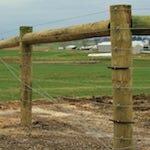 With all this in mind and above all else, we recommend high tensile woven wire. The difference between non-tensile and high tensile woven wire is two thousand percent more strength and increased elasticity. 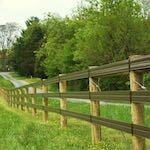 The extra strength will preserve your fence longer and spare any unnecessary future repairs. 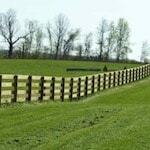 We have built fences across the Eastern United States with the utmost care and experience possible. We know that the ends and corners are the most important part of the construction. The fence needs to be very tight so it does compromise under multiple attempts of deer trying to go under or over the fence. This is only scratching the surface of our knowledge and foresight. 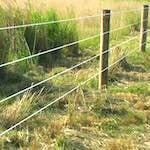 We invite you to fill out our Woven Wire Deer Fencing Quote, it’s the first step to getting the fence you need and deserve.